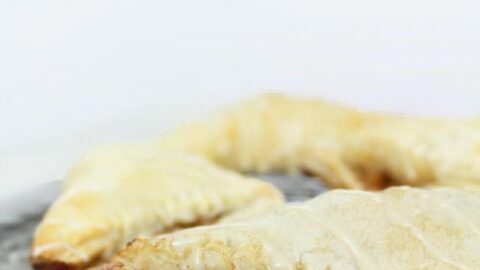 These apple turnovers with puff pastry are crispy, flaky and topped with a sweet vanilla glaze. 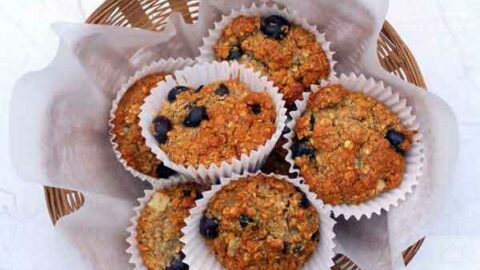 They make the perfect on-the-go snack or breakfast. But while there may not be much in the way of grab-and-go vegan pastries just yet, I was delighted to discover that most ready-to-roll puff pastry is actually vegan-friendly! Homemade dairy-free and egg-free pastries for days. My first experiment was making these delicious apple turnovers with puff pastry. They turned out so nice and they were SO EASY. All you have to do is prepare your filling which takes about 10 minutes or so, then pop that into a little pocket of puff pastry and bake it. You can eat them just like that, or you can go a step further and add some creamy vanilla glaze on top for an extra touch of sweetness. Either way, you’re going to love them! 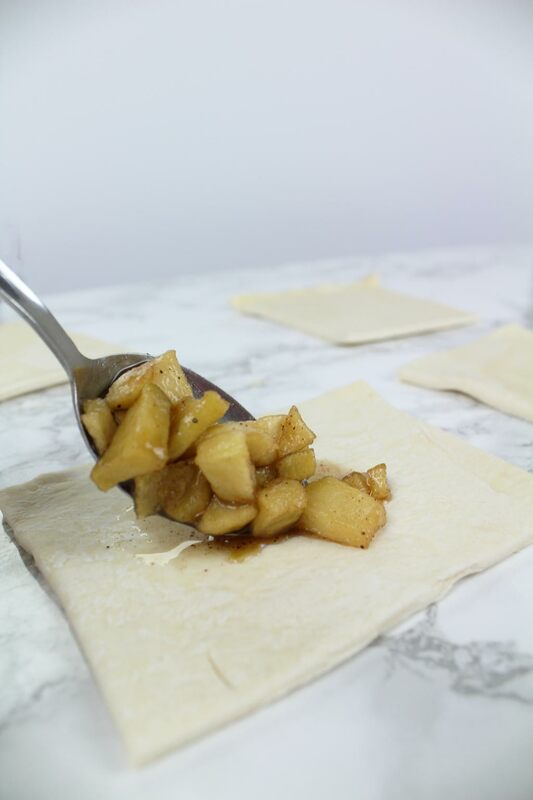 The first step to the best puff pastry apple turnovers is to prepare your filling. I started off with 4 Granny Smith apples. I love using these in my apple flavoured desserts because their tartness compliments the sweetness of the sugar very well. Chop, peel and core your apples, then place them into a large pan with the water. Add your cornflour. This will help to thicken the apple filling up a little bit when you begin to heat it, preventing it from spilling out of the pastry when it’s baking. Add your brown sugar and your cinnamon. 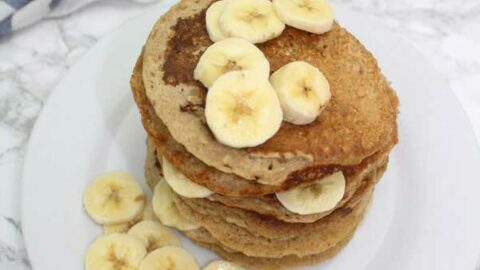 Adding cinnamon is totally optional here. But it will give your apple turnovers with puff pastry a warm, slightly spicy flavour that goes nicely with the richness of the brown sugar. Once all of your filling ingredients are in the pan, turn up the heat and cook for around 10 minutes or so, stirring every so often to prevent the mix from sticking. At this point, the filling mixture should be a little thicker and the apples should be slightly soft. Roll out your room temperature ready-made puff pastry on a lightly floured surface. Most are vegan-friendly but it’s always best to double check- there’s a slight chance that some might have eggs or dairy in them. I used the Jus Rol block when I made mine. 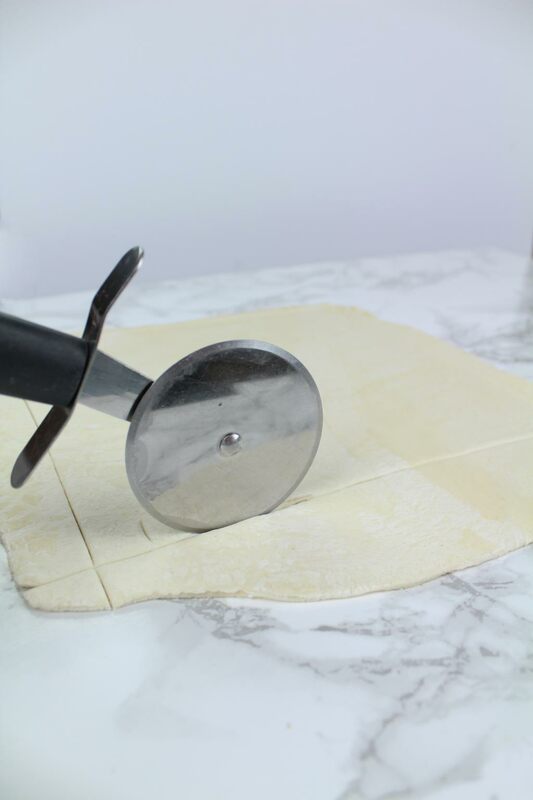 Cut the puff pastry into 8 even squares using a knife or pizza cutter. Cut away any rough edges too. Put a little bit of the filling into the centre of each square. Be careful not to use too much though, or it will come spilling out the edges. I found that around 1 tablespoon was pretty much perfect. Fold over the apple turnovers so that the corners meet diagonally, then seal the edges with a fork. Lightly brush the pastries with melted vegan butter or plant-based milk, then bake them for around 15-20 minutes. You’ll know they’re ready when they’re lightly brown all over. Once baked, transfer them to a wire rack to cool. Prepare your vanilla glaze by mixing powdered sugar, vanilla essence and water together. The consistency will be slightly runny but still thick enough to latch onto the pastry. Gently spoon your vanilla glaze over the apple turnovers and allow the glaze to harden. 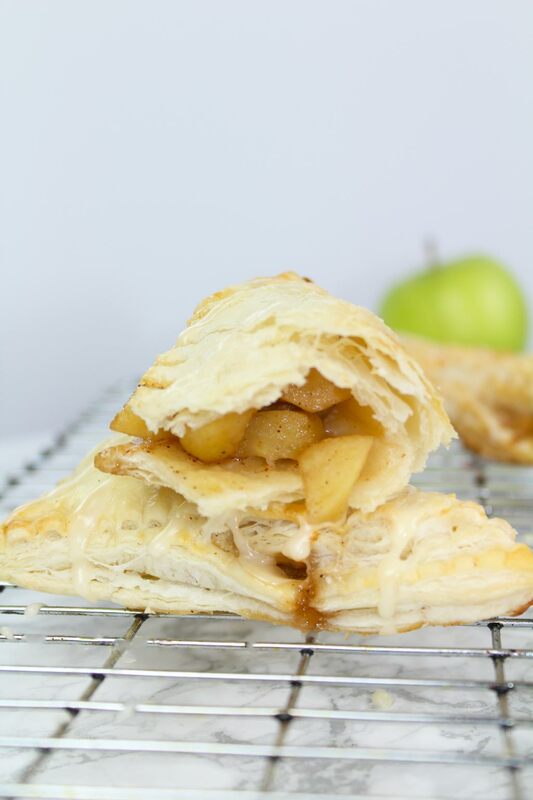 You are now ready to enjoy your apple turnovers with puff pastry! Should Apple Turnovers Be Refrigerated? Apple turnovers with puff pastry are best kept at room temperature. 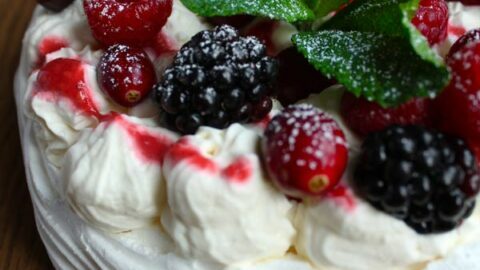 This prevents the pastry from becoming soggy from the moisture in the fridge. I’d recommend placing them in an airtight container that’s lined with parchment paper to keep them at their best. This way, they’ll stay fresh for around 2-3 days. 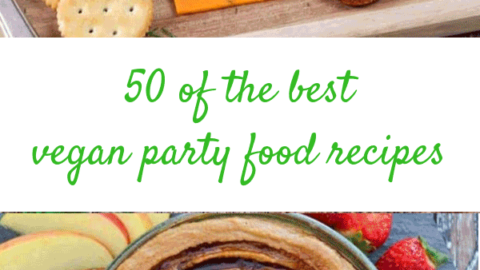 Can I Freeze Puff Pastry Apple Turnovers? Yes! 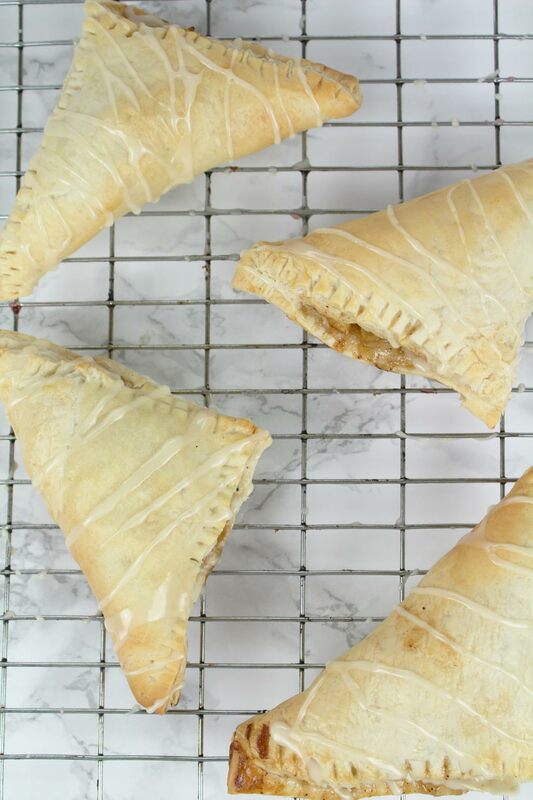 These apple turnovers can be frozen once cooled, pre-icing. 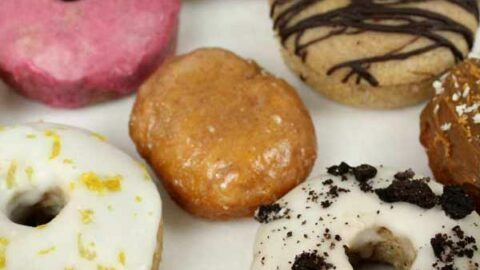 I’d recommend leaving the glaze part until the day you plan to serve them. 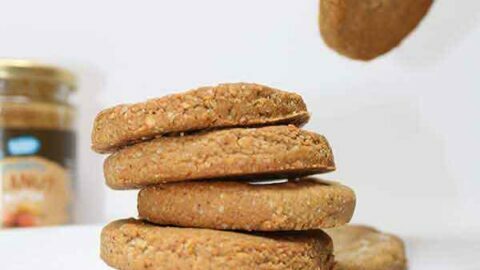 To freeze, place them on a baking tray lined with parchment paper a pop them into the freezer. Once they’re completely frozen, place them in a plastic seal bag and put them back in the freezer. When you’re ready to eat the apple turnovers, bake them from frozen at 180C/350F for around 10 minutes until warmed right through. Ice with the vanilla glaze as directed in the recipe. 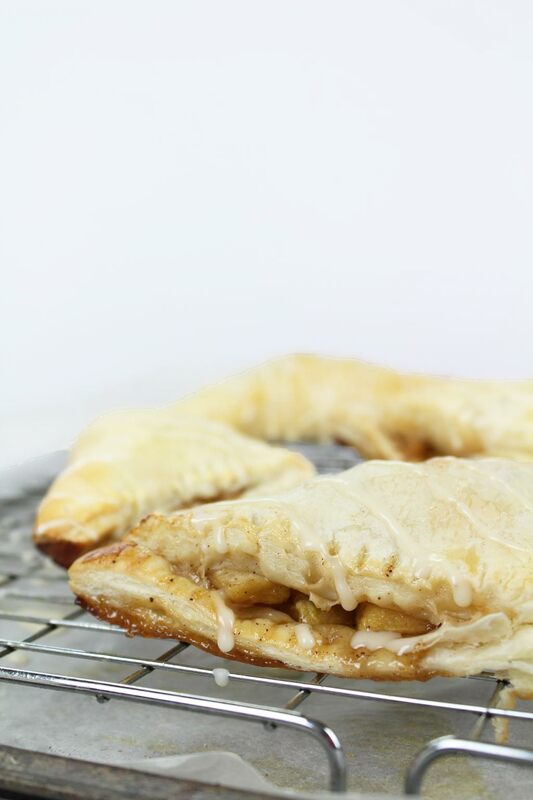 Vegan apple turnovers made with puff pastry and topped with a vanilla glaze. Preheat oven to 200C/ 400F and line a baking tray with parchment paper. 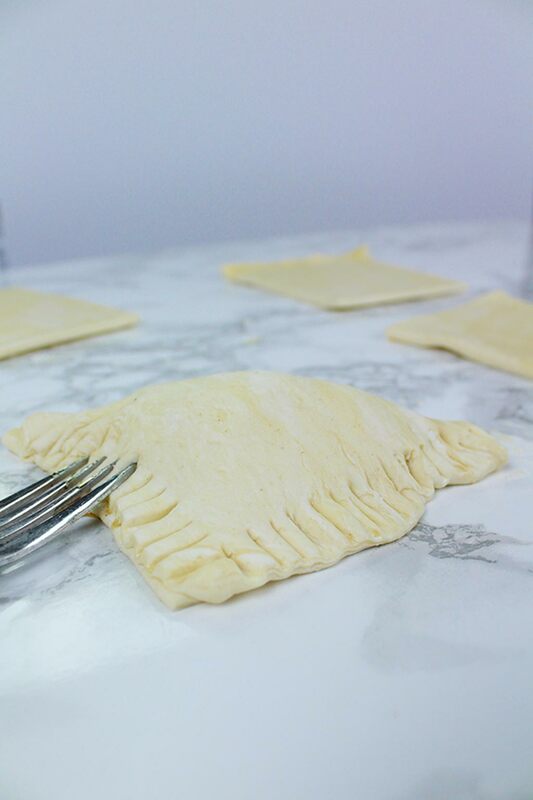 Set the puff pastry out at room temperature to allow it to soften while you prepare the apple turnover filling. 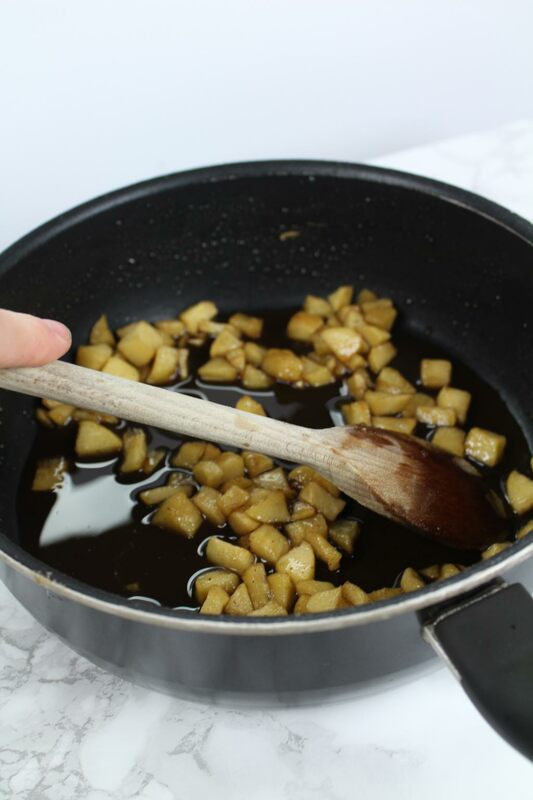 Add the chopped apples to a large pan along with the water, corn flour, sugar, and cinnamon. Turn the heat on and cook for 10 or so minutes, stirring often, until the mixture begins to thicken. Leave to cool slightly. Roll out your puff pastry to around 1/2cm thick. Divide it evenly into 8 squares using a knife or pizza cutter. Discard of any uneven edges. 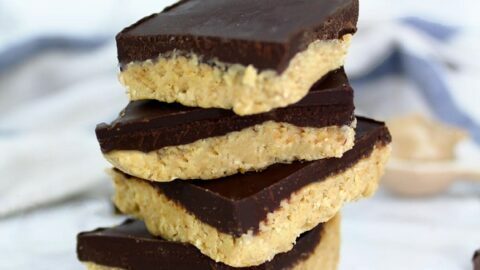 Place around 1 tablespoon of filling into the center of each pastry square. Fold the pastry diagonally over the filling to join at the corners, then seal the edges using a fork. Lightly brush each pastry with melted vegan butter or plant-based milk. Bake for 15-20 minutes until the turnovers are golden brown all over. Once baked, transfer to a wire rack to cool. 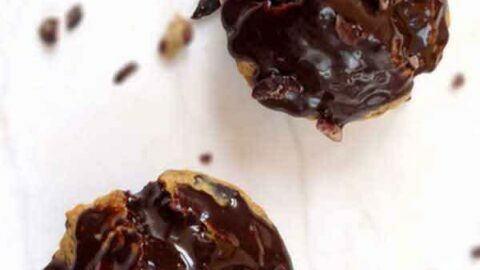 Prepare your glaze by mixing together the powdered sugar, plant-based milk and vanilla essence. Drizzle it over the cooled turnovers and allow it to harden. 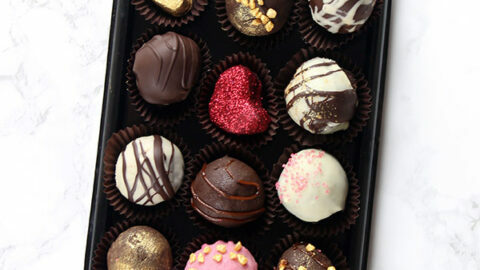 *Can be stored at room temperature for 2-3 days, in an airtight container lined with parchment paper.